IQubz is a Microsoft Business Intelligence partner consulting clients around the world, across North America, Europe, Asia and Australia. 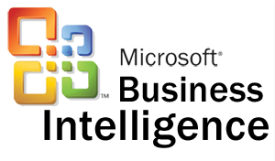 IQubz specializes in Microsoft SQL Server database design, integration, reporting, analytics, multi-dimensional cube design tools, KPI dashboard, charting and ad-hoc analysis tools from Microsoft and its partners. Microsoft BI is a technology platform for developing custom BI solutions. It provides the data repository and presentation tools including data warehousing, data integration, reporting and analytics, and dashboards and scorecards for a 360-degree view of your business. IQubz specializes in Microsoft BI technologies including SQL Server for data warehousing, SQL Server Integration Services (SSIS) for data integration and extract-transform-load (ETL), SQL Server Reporting Services (SSRS) for reporting, SQL Server Analysis Services (SSAS) for cubes, and Power BI for KPI dashboards and analytics. Meet the business intelligence needs of executives and employees while minimizing associated IT management issues and cost with Microsoft Business Intelligence solutions. Available as part of the familiar Microsoft Office and Microsoft SharePoint Server products, and built on the powerful Microsoft SQL Server platform. Connect people to data and to each other, while easing the burden on IT staff and maintaining proper governance. Access and combine data from virtually any data source to meet the reporting needs of your business with Microsoft SQL Server Reporting Services (SSRS) and SQL Server Analysis Service (SSAS). Get full range of reporting through highly intuitive ad-hoc reporting for business users as well as providing powerful report authoring environments for IT professionals and developers. Deploy dashboards and scorecards broadly across your organization with SharePoint Server. Provide access to information and performance monitoring from virtually any data source across your organization through interactive, content-driven dashboards and scorecards that combine data from multiple systems into a single browser-based experience. Enable users with advanced filtering, analytics and data exploration from within the browser. Find answers to question and the root cause behind performance measures. trends, better identify the root cause of problems and predict future outcomes. Embed predictive analytics in your reports, dashboards and scorecards to get deeper insights. Experience the power of data mining through the familiar and intuitive Excel.